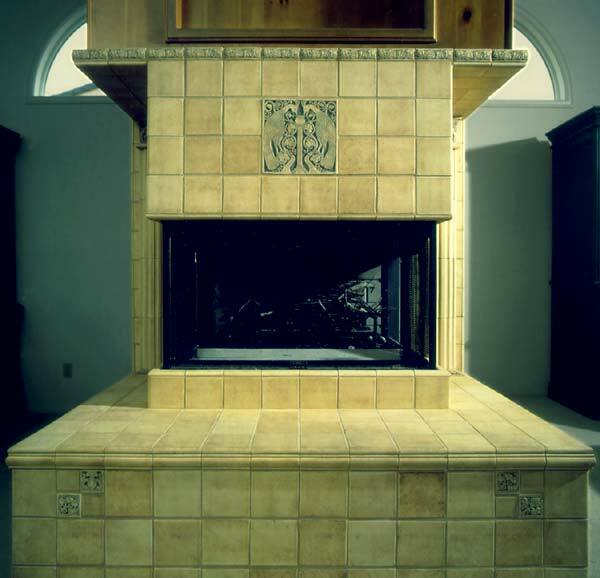 I designed this project for a house damaged in the Northridge, California earthquake in 1994. The framing for the fireplace was already in place, including some millwork elements. 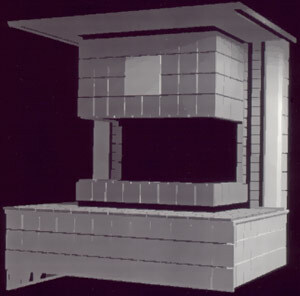 Because there were a number of complex edge conditions where tile had to lap from a vertical to a horizontal surface with precision, I created a 3D computer model of the entire fireplace hearth and surround and sent the details to the file fabricators so that they could manufacture the handmade tiles with a good visual understanding of various edges and surface relationships. 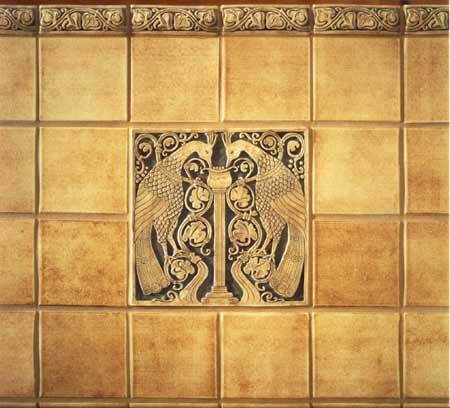 The tiles are reproductions of Batchelder arts & crafts tile designs made by Tile Restoration Center in Seattle, Washington. 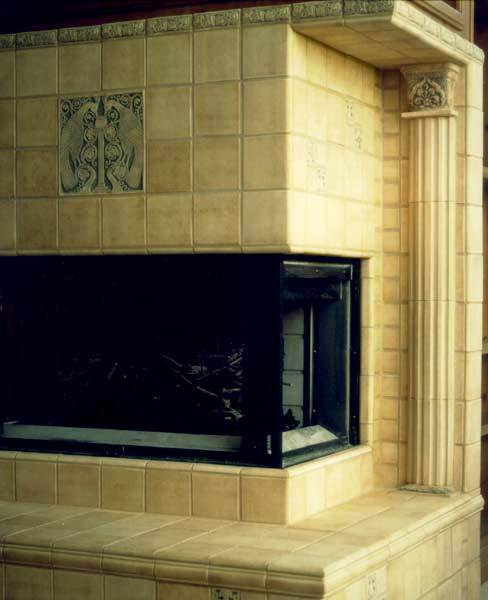 Batchelder tile reproductions, ceramic tile, craftsman design, arts & crafts, interior, architectural design. CG renderings and visualizations. Mike Roy, designer. Integrated Arts.